A supersized whisky bar with more than 1,000 labels from all over the world? We’re there. Encompassing 8,000 square feet over two storeys, this latest offering from the good people behind The Whisky Store and Quaich Bar (at Waterfront Plaza) is the largest whisky bar in Asia. The range of whiskies here is remarkable, with over 95% of them from Scotland and the rest from Wales, Japan, India, America and South Africa. 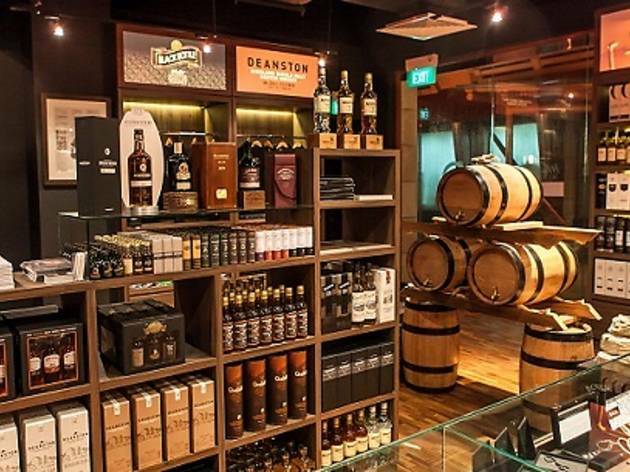 There’s also a selection of rare collectibles for those who know how to savour their whisky, plus an exclusive, by-invite only Golden Cask Lounge on the second floor for private tastings and a stunning view of Sentosa. 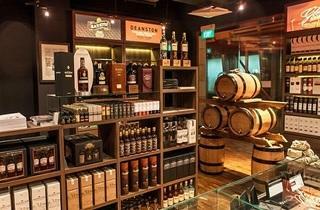 If you’re new to whisky, go for their Master Blender Experience ($60) – the first whisky blending and bottling showcase in Singapore. You’ll get to taste and smell 12 single malt whiskies and customise your own unique blend and bottle. Plus, your recipe will be recorded into the system, which means you’ll get to sip your blend every time you hit up the place. If you want to know more, try their monthly hands-on master classes and Scottish tasting tours for an insight into the fascinating world of whisky. With so much going on, no matter if you’re a whisky novice or connoisseur, there’s something here for everyone.